Have you heard of The Pink Stuff? It's a new product that has taken the online cleaning community by storm. The packaging doesn't give much away in terms of how to actually use this marvelous cleaning product, so today we're sharing 23 uses for The Pink Stuff, as well as a tutorial showing you how you can use it to clean your oven. Get cleaning today! The Pink Stuff is a tough, cleaning paste that can be used to remove stains and grime from just about anything! The household cleaner is mildly abrasive, getting all of the dirt off without all the hard work. Even though it's a little bit abrasive, it's made from natural ingredients so is gentle on surfaces. The Pink Stuff is made by Stardrops for Starbrands Ltd.
Scoop a blob of The Pink Stuff out of the pot using a cleaning cloth or a sponge. 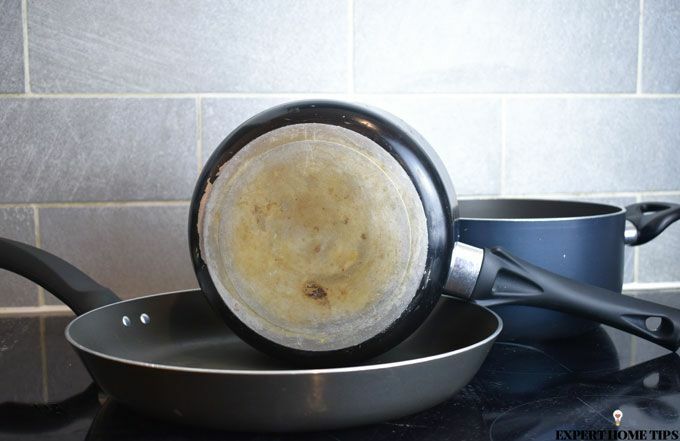 Spread the paste onto the surface that you wish to clean and then rub gently in a circular motion. You can leave the product to sit for a couple of minutes if you wish. Rinse your cleaning cloth or sponge and use it to remove the paste. Rinse any remaining residue off with clean water. Make sure to rinse thoroughly or you could be left with a smeary residue. Get right into the gaps with an old toothbrush. 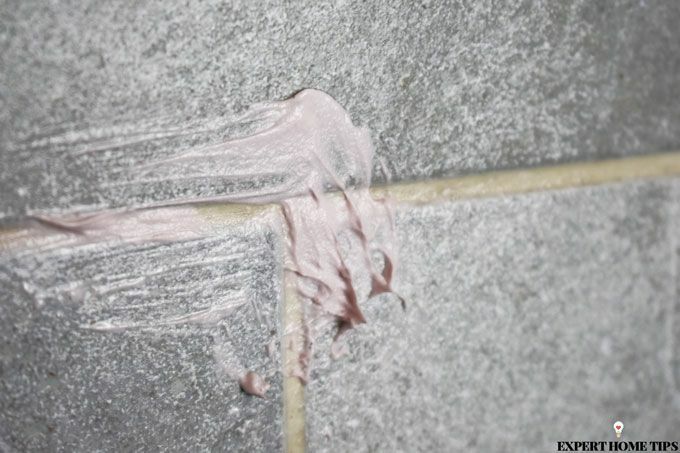 From bathroom tiles to flooring, use The Pink Stuff to achieve amazing results. Gently work into the tiles and use an old toothbrush to work it into the grout. It will remove dark staining, mould, and discolouration. The Pink Stuff can transform water-marked glass in no time. Buff the paste onto the glass with a sponge and then leave for 10 minutes. Rinse off to reveal a beautiful finish. Get rid of marks from paintwork by working in a small amount of The Pink Stuff. Be sure to test on an inconspicuous area first to see if it damages the finish. Your sink goes through a lot. Bring your sinks back to their former shining glory. The Pink Stuff will remove anything from watermarks to rust. Get rid of mould, rust, and grime from outdoor furniture by giving it a clean with The Pink Stuff. 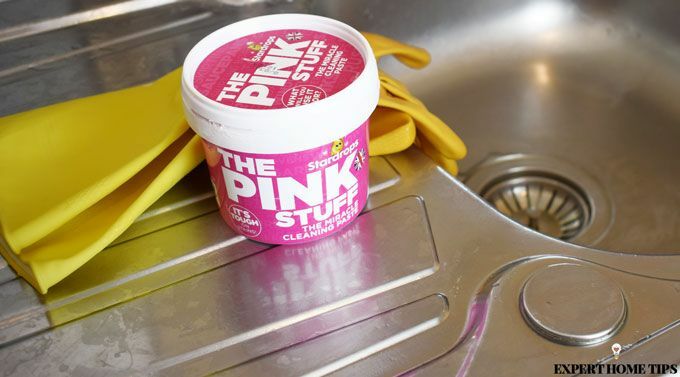 The Pink Stuff is best suited to cleaning metal furniture, not plastic. Covered in scorch marks and residue, barbeques can be really difficult to bring back to life. Don't let future garden parties be ruined! Tackle yours with The Pink Stuff. Rub it onto the racks with a scourer and leave for 10 minutes. Rub it off and you'll realise that your barbeque wasn't always burnt black! They'll be silver again in an instant! Think your saucepan is destined to be scorched forever? You might have a brown tinge on the base or burnt on food, but they are salvageable. 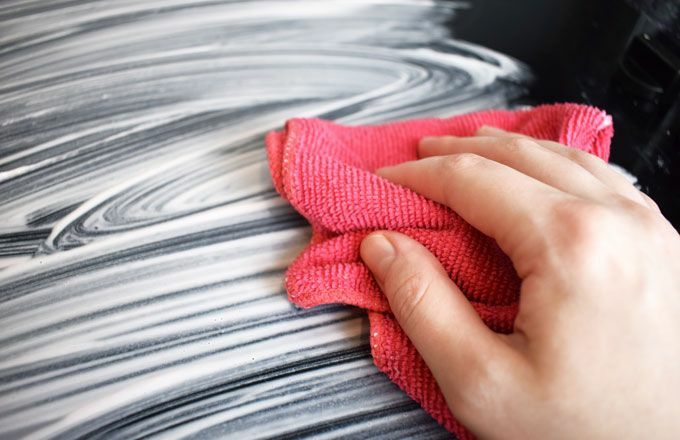 Coat any unsightly areas with The Pink Stuff and, with a little bit of time and scrubbing, they'll be sparkling again! Rust is no match for The Pink Stuff. Dollop a good amount of The Pink Stuff onto rusty tools, taps, and anything else that could use some TLC. As a mild abrasive, it's not recommended to use it on shiny stainless steel. If you're lucky enough to be the captain of your very own boat, you'll know the hassle that comes with trying to keep them looking their best. Use The Pink Stuff to clean up mould and rust on the inside and out. Have builders left some paint splashes on your uPVC? Or maybe the weather has got the better of it on the exterior of your home? 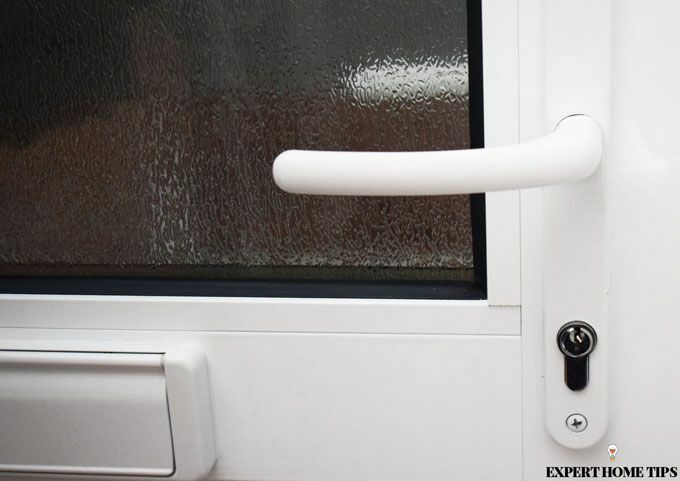 Remove any discolouration, marks, and paint from uPVC using The Pink Stuff. The results will amaze you! TOP TIP: Some windowsills are also made from uPVC. Don't forget to give these a clean too! Has your deep fat fryer seen better days? The Pink Stuff is brilliant at cutting through grease! 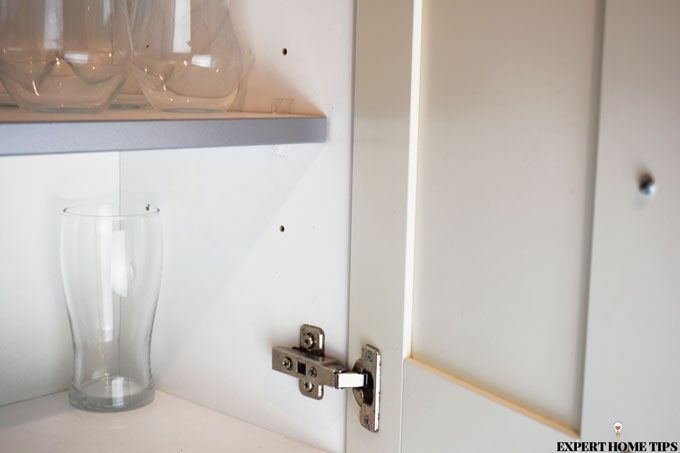 Clean up sticky residue in food cupboards. Clean up marks on the inside and outside of your kitchen cupboards with this abrasive cleaning product. You'll be able to remove food splatters and water stains in seconds. If the metal wheels on your bike, pram or even your car have any signs of rust, you can perk them up again with The Pink Stuff. Test on a small patch before committing to cleaning the whole area. You won't believe how mucky these can get! 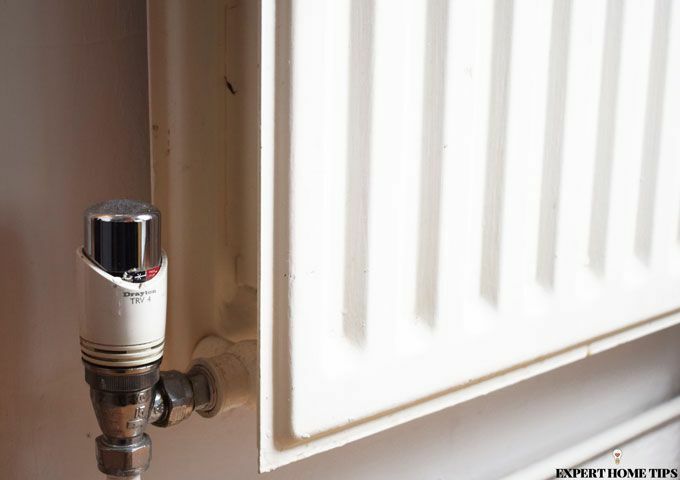 Radiators and heated towel racks are prone to rust. Keep yours looking lovely by giving them a good scrub with The Pink Stuff. Clean limescale from showerheads, taps, and kettles with ease. Just be sure to rinse thoroughly after you've removed the staining and scale. Remove scuffs from skirting boards the easy way. There's no need to repaint them when you've got a tub of The Pink Stuff at the ready. Does your toaster look like this? 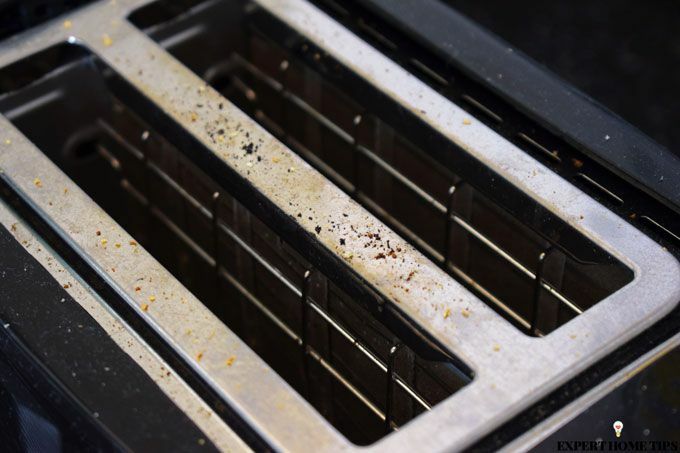 Those pesky scorch marks can make your toaster look grimy and old. You might be surprised to hear that you don't need to buy a new one. Simply scrub away the brown colouring with a cloth and a blob of The Pink Stuff. Don't forget to carefully wipe it off afterwards, trying not to let any water trickle into your toaster! Get rid of that soapy scum in your bath and shower by giving it a good scrub with The Pink Stuff. The mild abrasive will help to loosen the grime. Have you spilt turmeric or maybe something even worse on your worktops? Never fear - you don't need to replace the whole kitchen! Just rub the stain with some of The Pink Stuff and your counters will look as good as new. 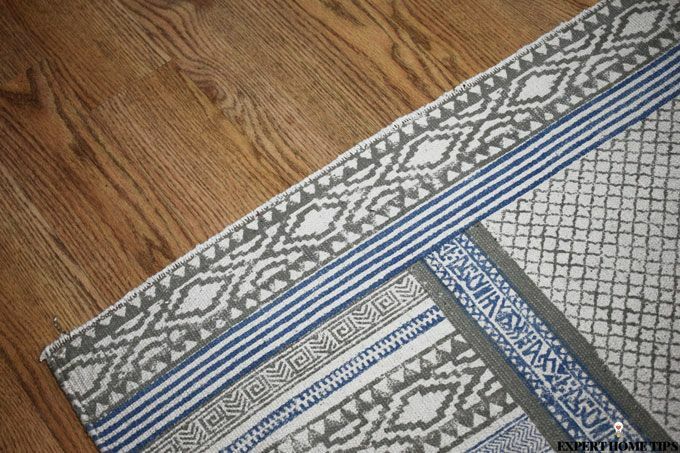 Stick to hardwood floors - it isn't suitable on carpets or rugs! Get laminate flooring looking better than ever before by carefully cleaning it with The Pink Stuff. It might take a long time on your hands and knees, but the end result is well worth it. Finish by mopping any residue away. Spilt some red wine on your coffee table? Remove the stains with ease and get your table back to how it was before. If your home is showing signs of smoke damage, the best cleaning product for the job is The Pink Stuff. It'll remove yellowing from paintwork and more! 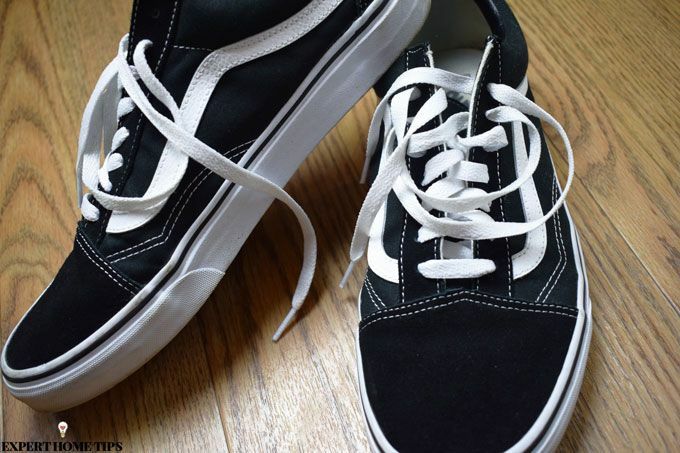 Are your white trainers looking more yellow or grey? Use The Pink Stuff to restore the soles. The abrasive will get into all the nooks of the rubber. The most popular use for The Pink Stuff is for a total, deep oven clean. The results shared by the cleaning community online speak for themselves! Writing your name in the paste is a compulsory step! No matter what type of hob you have, use The Pink Stuff to remove burnt on food, discoloration, rust, and staining. TOP TIP: If some food residue remains, use a hob scraper to remove it. Remove the oven racks and coat with The Pink Stuff. Rub some more around the inside of your oven and leave for 10 minutes. You might need to scrub at the oven and racks to remove any burnt on food and grease, but it'll be a lot easier than using any other product. TOP TIP: Scrunch up a ball of tin foil and use it in place of a sponge or cloth to scrape the inside of the oven. 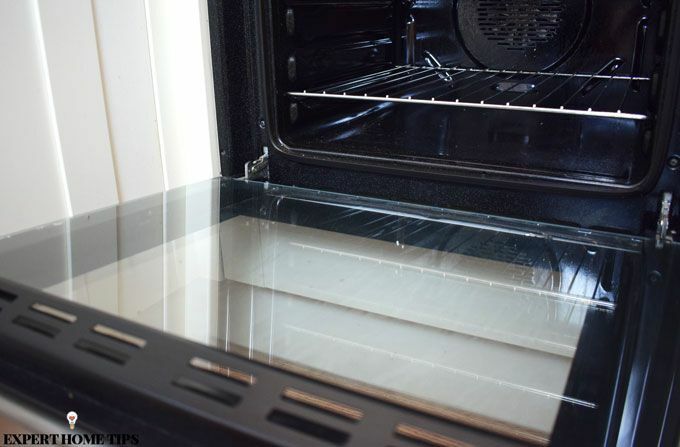 Oven glass is notoriously difficult to get clean. Use The Pink Stuff in the same way as above to get your glass looking clear again. Don't forget to thoroughly rinse any areas cleaned with The Pink Stuff. Can The Pink Stuff damage my furniture? Although The Pink Stuff claims the list of uses are endless, there are a few precautions to take before you start smearing it onto anything and everything! Always test on an inconspicuous area before trying on a new surface. Be gentle when applying - the abrasive paste can scratch surfaces. Don't use on a hot or a warm surface - wait for it to cool first. Don't use it on plastic, acrylic or highly polished stainless steel. Is The Pink Stuff environmentally friendly & cruelty-free? Where can I buy The Pink Stuff? Do you know any other ways to use The Pink Stuff? We'd love to hear from you in the comments below! Sounds brilliant - will look out for it I use Stardrops so as this is from them it should be worth testing. That's a shame, Tina! What did you try it on? Hi i would like to purchase the pink stuff it looks great and useful for everything. Hi Jayne! We're glad you think so! We don't sell it, but we have listed the places you can buy it in our article. You can also buy it from Amazon, but the prices are a lot higher than just buying it in a shop. Hi there, Judith! We don't sell The Pink Stuff, but you could certainly order it for home delivery through online retailers such as Amazon. Be warned, it is much cheaper to buy it in shops than through online retailers. They have hiked up the prices since it has become so popular! Hi Sharon! What material is the lampshade made from? If it is synthetic or cotton fabric you can clean it in the bath. 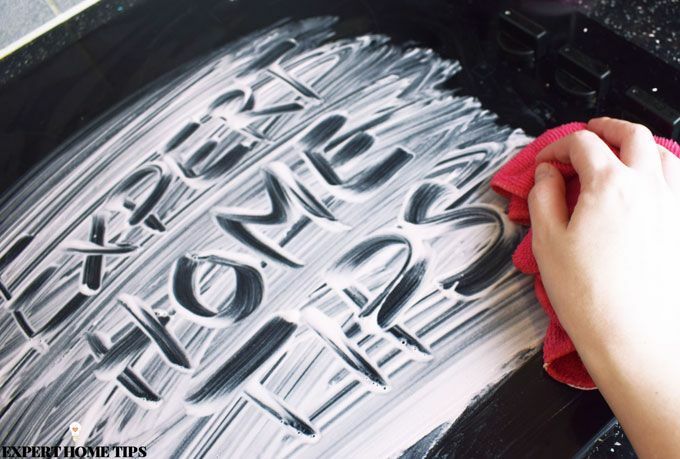 Fill the bath up, add a small amount of either laundry detergent, baby shampoo or dishwashing liquid, and then gently clean the lampshade off. You can leave it to soak and then clean off the suds and air dry. Bought this for 69p in Pound Stretcher, also on sale on Amazon £6+!! Used to clean our fireplace, surround and hearth came up a treat, bit of effort required but nothing I've tried works better. Also used on glass hob and oven doors, brilliant. It's wonderful stuff, John. We can't believe how much it sells for online - it's criminal! We love it! The abrasive in it makes cleaning so much easier. Hi Jade! The Pink Stuff shouldn't be used on fabrics. Hi Sara! I just use it neat. Hi Pauline! I'd test it out on the underside of your table first. I have a tub of the pink stuff and want to use it clean my tiled floors, a very large area. Any tips on how to do this, or is it just on my hands and knees, bit by bit? Thanks! Hi Sarah! Wow, that sounds like quite the job! I'd recommend getting a large, brush attachment for a drill and using that to work the paste into the tile. You can then mop the floor to remove any residue and get it sparkling! This stuff is miraculous, used it on a baked inner glass oven door and it removed all burnt in grease with some light scrubbing I would suggest washing it over with dish soap to get and pink stuff residue off then rinse and it will be squeaky clean  can’t wait to try it on the BBQ Now. It's incredible! We're with you on washing it off - it can leave a chalky substance - but the results afterwards are beyond belief. Hi Wendy! I've not tried it on suede, but I can't imagine that it would work very well. You need to rinse the cleaner off with plenty of water, and suede is meant to be kept dry where possible. You can, but you might want to try a patch test first! Can you clean vinyl vertical blinds with the pink stuff? Hi Bridgene! You would need to rinse them thoroughly to remove all residue, so it would depend on whether you can do this. Hi I have just bought the pink stuff haven’t tried it yet ,could it get mould off the rubber seal of a washing machine ? You're in for a treat, Anne! We've not tried it on rubber, but we're sure it would work well. It is mildly abrasive, but I don't imagine that it would cause any damage to the rubber.